AstraZeneca is on course to get a first-line indication in Europe for Tagrisso in lung cancer, after a CHMP recommended approval at its meeting last week. The go-ahead comes just a few days after Tagrisso (osimertinib) was approved by the FDA for the same indication - previously-untreated patients with EGFR-mutated non-small cell lung cancer - which is thought to be key to unlocking its sales potential. Tagrisso is also knocking on the door of $1bn in annual sales from its use in second-line NSCLC, but AZ thinks front-line use will help drive sales above the $3bn-a-year mark. The CHMP’s positive opinion is based on the results of the FLAURA trial, which showed Tagrisso was able to almost halve the risk of a secondary progression or death versus comparator EGFR inhibitors including Roche’s Tarceva (erlotinib) or AZ’s earlier-generation EGFR drug Iressa (gefitinib). 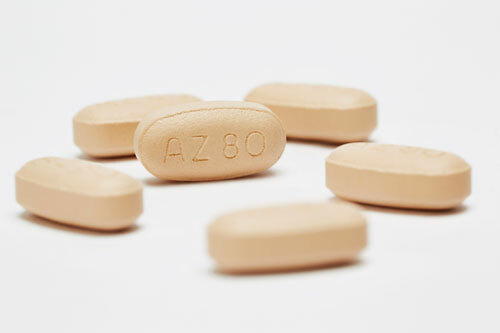 There was also good news at the CHMP meeting for Gilead Sciences’ HIV division, with the panel giving its blessing to three-drug, fixed-dose therapy Biktarvy (bictegravir/emtricitabine/tenofovir alafenamide). Gilead is locked in a fierce battle with GlaxoSmithKline’s joint venture unit ViiV for dominance in HIV-1 therapy, and Biktarvy is key to its growth plans as a riposte to Triumeq (abacavir/dolutegravir/lamivudine), currently spearheading a gain in HIV market share for Viiv. Gilead reported new data last month showing that it was possible to switch from Triumeq to Biktarvy with no loss of efficacy and - it claims - fewer side effects. Roche picked up an important new approval recommendation for its HER2-targeting drug Perjeta (pertuzumab) as an adjuvant (post-surgery) treatment for HER2-positive breast cancer at high risk of recurrence alongside its older HER2 drug Herceptin (trastuzumab). The company is positioning Perjeta as a successor to HER2 stalwart Herceptin - which is starting to feel the effects of biosimilar competition - and approval for adjuvant use is another step towards achieving the same breadth of uses as its predecessor. The FDA approved adjuvant use of Perjeta last December, and pre-surgery (neoadjuvant) use to shrink tumours in the EU, US and other countries. Among the other highlights from the CHMP meeting was the withdrawal by AstraZeneca (AZ) of an application to market diabetes combination Qtern (saxagliptin/dapagliflozin). This was approved in the US last year, but has seen its sales projections pegged back by multiple delays on its way to market. There was a recommendation for an under-the-tongue formulation of potent analgesic sufentanil from FGK representative Services - under the Dzuveo brand name - and a generic version of Bristol-Myers Squibb’s Carmubris (carmustine) for brain tumours, non-Hodgkin’s lymphoma and Hodgkin’s disease filed by Obvious Investment. There were also new indications approved for UCB’s Cimzia (certolizumab pegol), Amgen’s Prolia (denosumab), BMS’ Sprycel (dasatinib) and Yervoy (ipilimumab), Pfizer’s Xeljanz (tofacitinib), and Novo Nordisk’s Xultophy (insulin degludec/liraglutide). Finally, three negative opinions on marketing applications have been appealed, according to the CHMP. The three drugs in question are Portola’s anticagulant Dexxience (betrixaban), Radius’ osteoporosis candidate Eladynos (abaloparatide) and AB Science’s Alsitek (masitinib), filed for neurodegenerative disease amyotrophic lateral sclerosis (ALS).